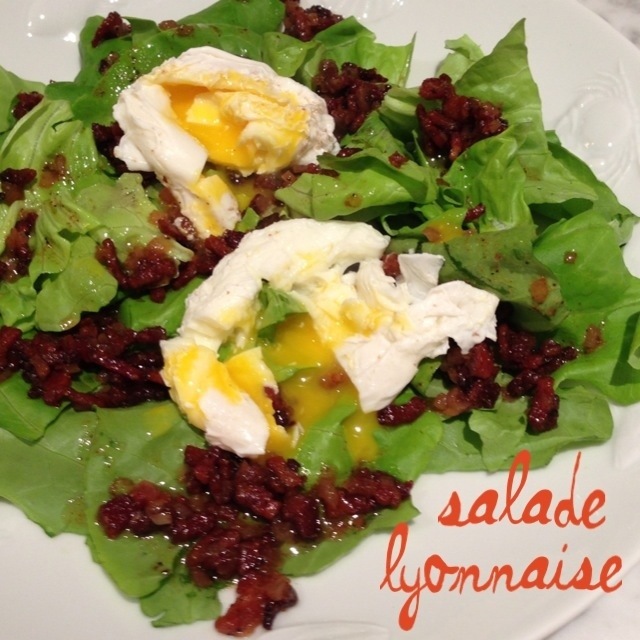 salade lyonnaise | Is there any wine left? Here’s a funny fact: I didn’t eat green stuff (except, as my grandfather likes to point out, green M&Ms) until I was like 20. I was a picky eater as a kid and could find specks of offensive food in anything I was eating. If there was even a trace of lettuce in my taco, I would refuse to eat it. “God gave picky people good eyes,” I liked to say. And while I’m now a really adventurous eater and there are only a few things I don’t like, I still think I could go through life without ever consuming salads. Unless the salad is covered in bacon and poached eggs. I make exceptions for bacon. 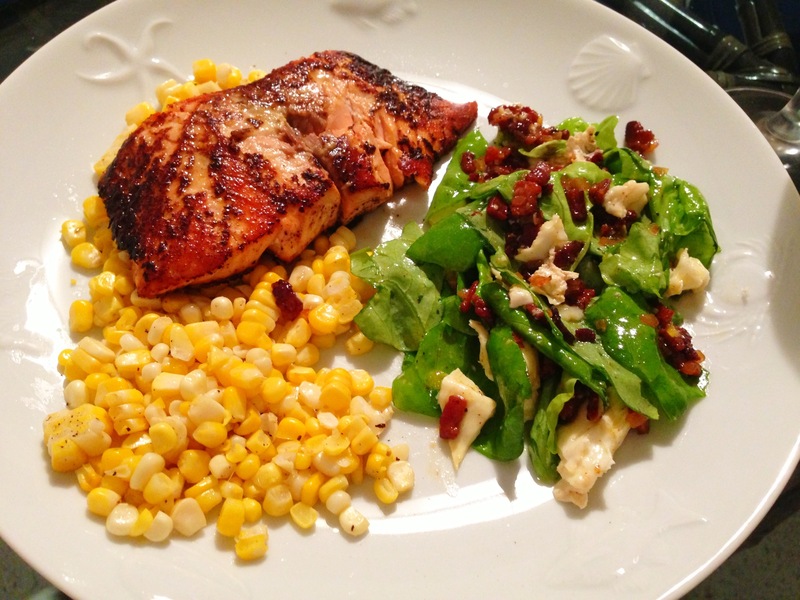 To make the dressing, heat olive oil in skillet over medium heat. Add bacon and cook slowly until crisp, about 7-8 minutes. Add diced shallot and cook for a minute until softened. Add vinegar and mustard to the skillet and bring just to a boil, stirring, then turn off heat. Add salt and pepper to taste and stir to combine. In a medium pot, bring about two inches of salted water to a boil then lower heat to barely bubbling. Stir in 1 tbsp. white vinegar or lemon juice. This helps the eggs stay together. One at a time, crack the eggs and slip them into the bubbling water. Cook eggs for 3 to 5 minutes, just until the white is set and the yolk has filmed over. Remove each egg with a slotted spoon and drain briefly on paper towel. Pour the warm dressing over the greens (they should wilt just a bit), then top each portion with an egg and serve immediately.